Dimensions 0.37 by 5.06 by 7.81 in. 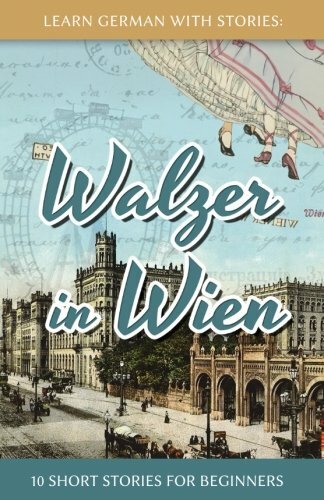 Amazon.com description: Product Description: In the wake of the events of "PlÃ¶tzlich in Palermo", Elisabeth lands a promising job in Vienna which comes with many perks but demands a lot of traveling, while Dino is left to his own devices. Pampered by Viennese "GemÃ¼tlichkeit" and slightly confused by yet another German dialect, he hangs around in coffeehouses until he saves the day for someone whose gratitude elevates him into a position of prestige and responsibility. Explore the Austrian capital, learn about Viennese coffee culture, local cuisine and improve your German effortlessly along the way.